With my father born in Northern Italy, polenta is one of there regional cuisines. So growing up we ate polenta in our house and I love it to this day! The polenta itself when warm (which is how I prefer to eat it) is SUPER creamy!!! As soon as it cools the consistency turns firm and is still yummy, it just has a different texture. You can still top it the same, or even grill the next day. 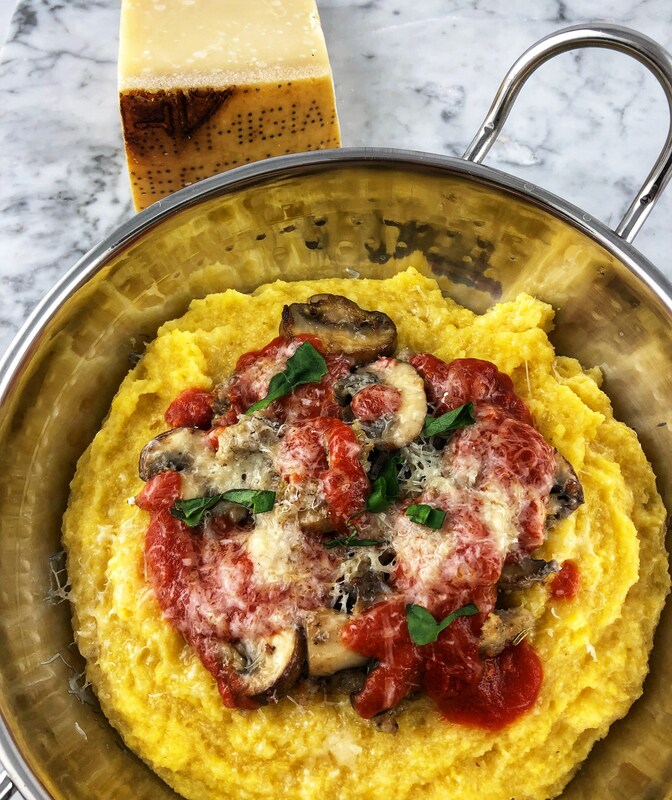 Polenta can be topped with so many variations of meats and or vegetables. Traditional is sausage and mushrooms so that is the recipe I included..
once boiling add sea salt and cracked pepper. then slowly add the polenta as you whisk consistatly. Once it starts getting thicker you can start using a wooden spoon. Make sure there are no lump and it does not stick to the bottom of the pan. Just keep stirring.